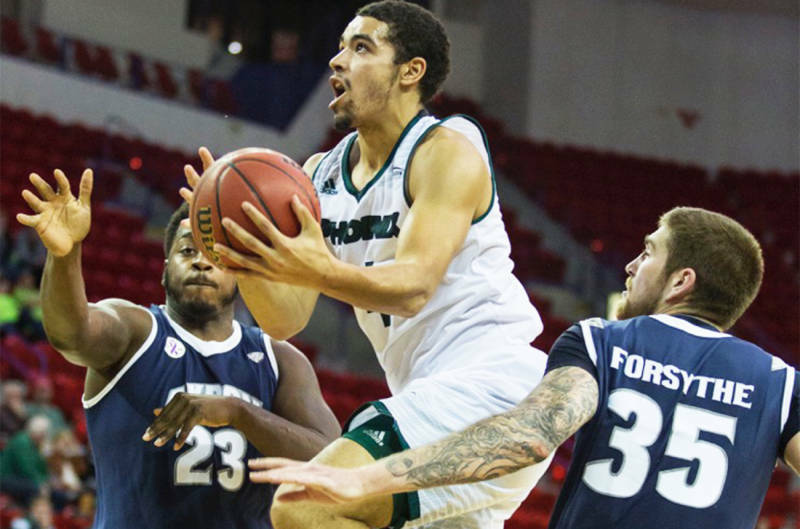 After starting the season 0-3, the Green Bay Phoenix won their second straight on Tuesday night, 66-63 over the Akron Zips at the Resch Center. Senior Jordan Fouse grabbed a career-high 16 rebounds, helping the Phoenix (2-3) pull out their second straight win. Green Bay shot just 32-percent (22-of-68) from the field, two of 13 from beyond the arc (15.4-percent) and 20-of-37 (54.1-percent) from the free throw line. Green Bay junior Charles Cooper (team high 14 points) hit one of two free throws in the closing seconds to put the Phoenix up three. Akron (3-2) had one chance to tie but Antino Jackson’s three-point shot fell short at the buzzer. Green Bay returns to action at Eastern Illinois (0-3) on Saturday night.